St. Louis Symphony Orchestra | An Evening with Leslie Odom, Jr. The one, the only Leslie Odom, Jr. returns to perform with the SLSO this holiday season. Enjoy an extraordinary evening of melodies from his Simply Christmas album featuring jazz renditions of classic Christmas songs and hits from his debut solo album that quickly rose to number one on the Billboard and iTunes Jazz charts. 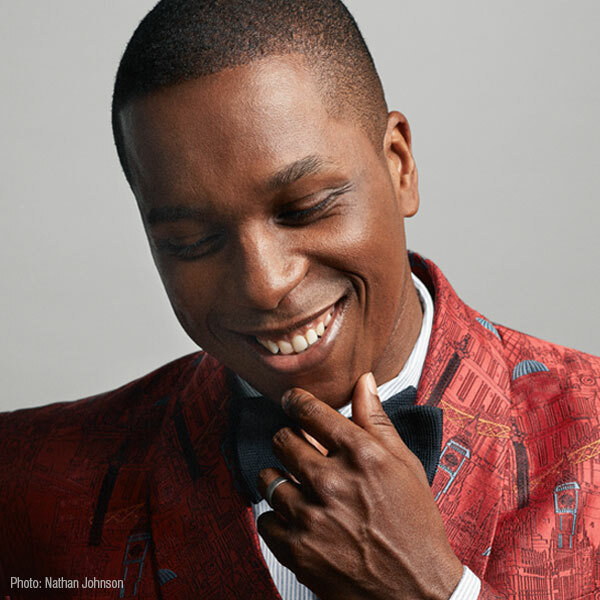 Share the holiday cheer with family and friends, while watching the talented Leslie Odom, Jr. Originated the Tony Award-winning role of Aaron Burr in the original cast of Broadway’s Hamilton. VIP Packages* are sold out and are no longer available. *VIP Package cost is $200/person. Each VIP package order will include one parking pass and drink coupons equal to the number of tickets purchased. Must call Box Office to purchase.